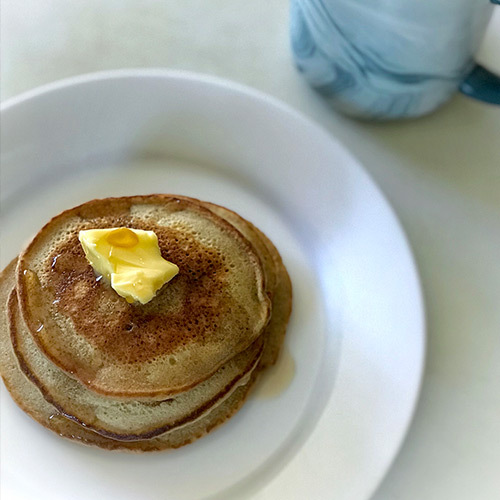 These pancakes are amazing & a staple breakfast in my house. This recipe makes about 7 pancakes. They made great leftovers! They taste like banana bread but are gluten & diary free! Add some toppings & enjoy! Put leftovers in fridge, pop in the toaster the next day!